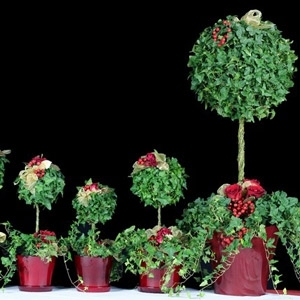 English Ivy (Hedera helix) make an attention-grabbing topiary for your home. A great addition to any space, this sculptural plant looks equally attractive inside the home or placed outdoors on a covered porch or deck. This fast growing, lemon scented plant has multiple uses in the home, patio and landscape. 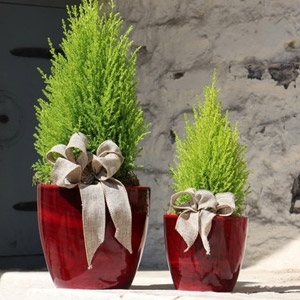 Lemon cypress is coniferous evergreen tree that has greenish-yellow foliage. The leaves give off a lemony fragrance, especially when cut. It is a hardy, versatile tree, and people use it both indoors and outdoors. Like many evergreens, it requires very little care, thrives in a variety of climates, and retains its color all year long.